ZA Property Portal recognises its responsibility to protect the personally identifiable information that it collects pertaining to its users. Accordingly we undertake not to disclose any such information to third parties unless required to do so by law. 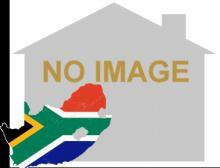 We cannot accept responsibility for the privacy policies of other sites that our viewers visit by clicking links (e.g banner advertisements) on ZA Property Portal. Last modified: June 16 2017.